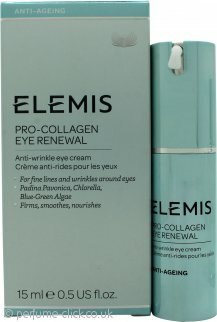 The anti-aging collection by Elemis is an extensive range of products that fight the signs of aging. The Elemis anti-aging system identifies three distinct actions to battle the signs of aging; anti-pollution detox, active cellular delivery and direct treatment. Their cellular technology restores and improves the firmness of the skin, giving you a smooth, youthful and refreshed glow. The collection includes everything you need for an expert skincare routine at home including face creams, serums and cleansers. This excellent collection is bound to have what you need no matter what signs of aging you need to focus on in your own routine. Many of the products are vegan and cruelty-free - please refer to the specific products for more information.